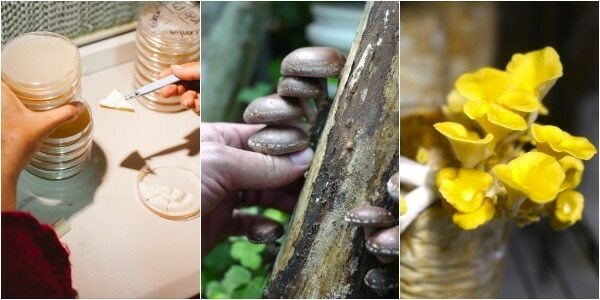 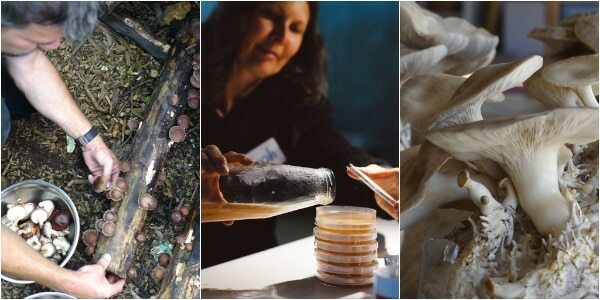 Join us for two jam-packed days of hands-on skills in gourmet mushroom propagation. 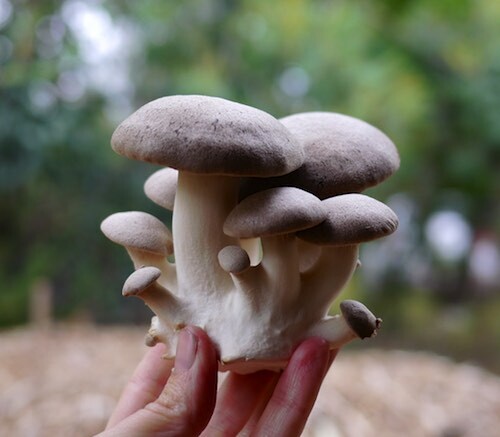 Learn how to grow delicious oyster, shiitake, pioppino, enoki, reishi (lingzhi), lion’s mane, king stropharia and many other mushrooms at home, organically! 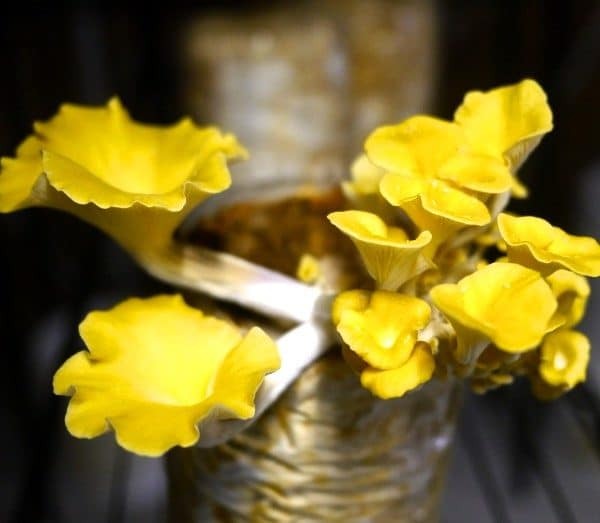 We use minimal intervention with our mushroom propagation and focus on teaching resilient processes that are better suited to home cultivation, rather than the climate-controlled approach of conventional large-scale mushroom propagation. 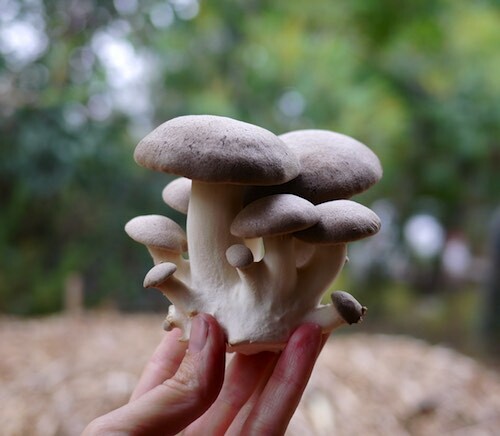 By the end of this course you will have the skills to take any suitable store-bought or foraged mushroom, clone and propagate it in a variety of ways, and create a lifetime supply of free mushrooms with minimal start up costs. 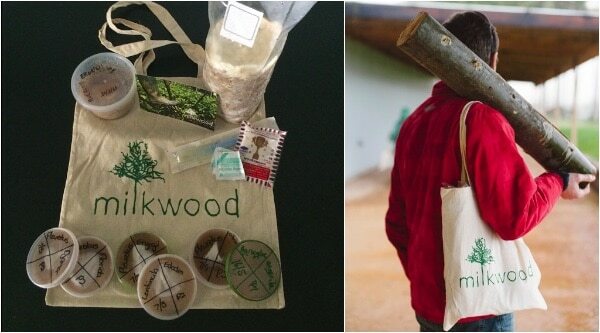 So if you’re curious about how to start growing mushrooms in bags, logs or in the ground and how to propagate your own strains of mycelium for a lifetime supply, join us! 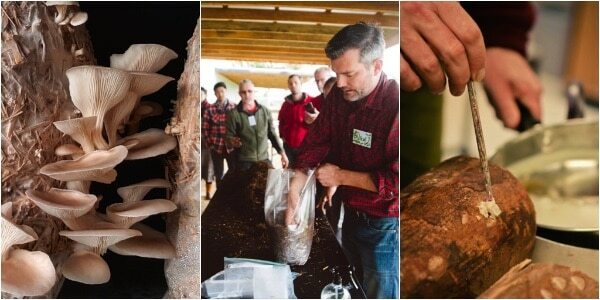 Each student receives extensive mushroom propagation resources for this Gourmet Mushroom Cultivation course, as well as extensive resources & how-tos to help you get growing. 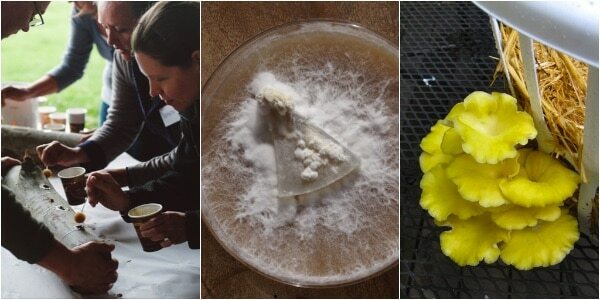 Each course’s resources will vary, so the image below is indicative only. 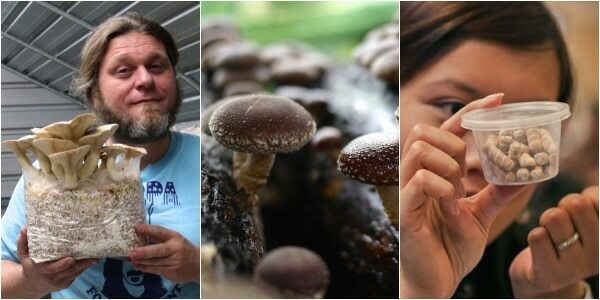 Your course fee also includes tea + coffee + organic fruit during the day. 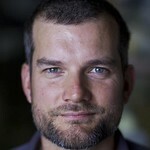 You can pay for your course now with your credit card, or us via the form below (scroll down) to arrange payment.